Come join Raue Center for their annual 5K Run for the Arts! 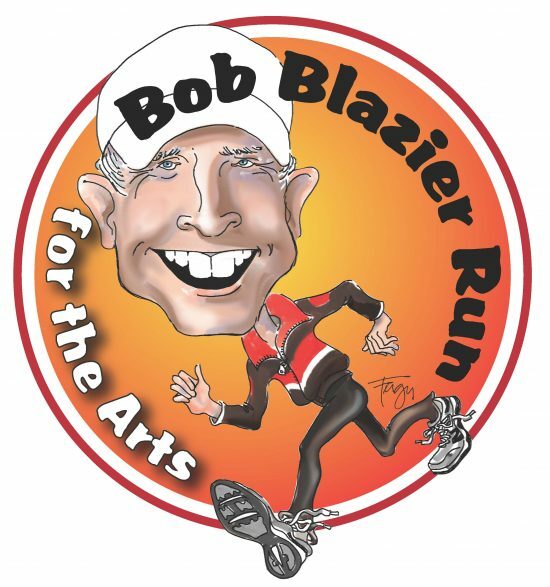 Twenty-three years ago, Mike Splitt stood up at a chamber of commerce dinner to announce that the chamber wanted to organize a 5K event in honor of Bob Blazier’s unparalleled community accomplishments. Bob was to name a charity of his choice and he chose Raue Center For The Arts. Twenty-two years later, the event continues to grow and build community, just like Bob. For over 50 years, Bob has truly defined what it means to be a community-minded citizen. His dedication and commitment to education, healthcare, and building a business is something to be celebrated and admired. The run begins in downtown Crystal Lake, right outside of the beautiful and historical Raue Center for the Arts. The course will take you through the quaint neighborhoods surrounding downtown crystal lake and wind you back to finish where you started. Don’t want to commit to a full 5K, but still want to get active to support the arts? Rosie’s 1 Mile Walk was designed just for you. Perfect for a stroll with family, friends, neighbors or anyone who would enjoy a morning walk on a beautiful Sunday morning. Bring the dog, strollers, rollerblades, bikes, wagons, unicycles or just your two feet! The Bob Blazier Run for the Arts Corporate Challenge is designed to help companies foster healthy lifestyle choices and a commitment to wellness, all while participating in a fun and exciting competition. The challenge is easy! Get as many employees, business partners, friends and family together to compete in four categories: Greatest Overall, Most Money Raised, Most Team Spirit, Best Average Team Time. *If registered by April 21st you are guaranteed a T-shirt!